PORTLAND, OR -- A DoveLewis Animal Hospital intern found a tick hidden behind a dog's ear moments before she and a veterinarian were charged with putting the dog to sleep over his undiagnosed ailment. Extern Neena Golden took a moment to comfort Ollie prior to putting him down alongside Dr. Adam Stone. At that point, she felt a something strange behind Ollie's ear that turned out to be a tick. Even though Ollie had worn a tick collar during his trip to Eastern Oregon, the bug had managed to lodge itself in Ollie's fur and stick around for days. "We were thinking it would take closer to three days for him to heal, if it did turn out to be tick paralysis," Neena said. 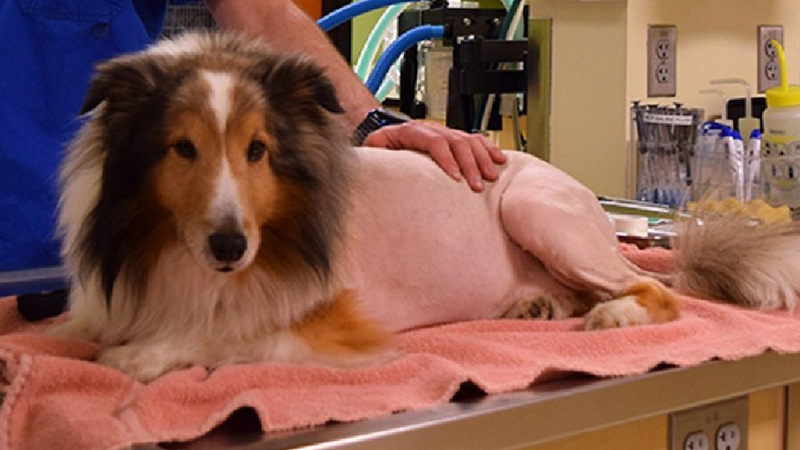 "When we got the call from his owners that Ollie was doing fine, we all high-fived each other. That might be the one tick paralysis case I experience in my career. It was exciting that we could help."